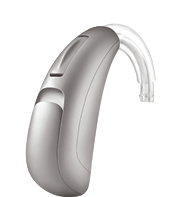 Unitron Hearing Aids Make Your Appointment In Atlanta, GA Today! Unitron was founded in 1964 in Canada’s “Silicon Valley,” the Waterloo region of Ontario. Committed to making life better through innovation, Unitron is committed to “patient-centric” design. Research and development for Unitron aids are a collaborative effort with the National Centre for Audiology at Western University. Unitron hearing aids are tested by consumers and receive feedback from audiologists worldwide. As a global leader, Unitron supports community efforts such as the Global Foundation for Children with Hearing Loss and Hear the World Foundation. Unitron hearing aids have received a number of accolades for their innovative work, winning three Red Dot Design awards (2014, 2015, and 2016). 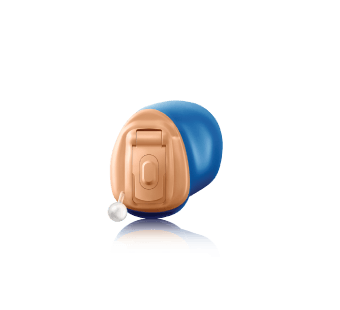 Unitron hearing aids provide wearers with comfort, aesthetics, and intuitive functionality. 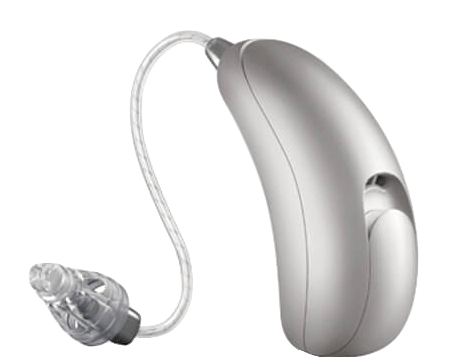 Moxi receiver in canal (RIC) hearing aids are an award-winning family from Unitron, which provides discreet design and long battery life. Powered by Tempus, Moxi microphones capture speech from speech from any direction. The Binaural Spatial Processing feature simulates natural binaural hearing and provides wearers with a better sense of directionality. Features such as SoundNav and Sound Conductor balance speech understanding and comfort with natural sound quality. Automatic Adaptation Manager assists wearers in moving comfortably between different sonic environments. 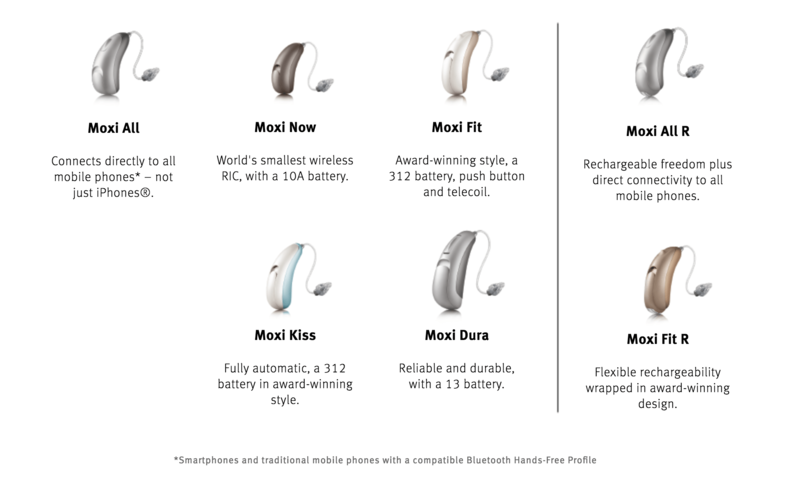 Moxi Fit R is the new rechargeable hearing aid from Unitron, answering the call from 70% of patients. Small and powerful, Moxi Fit R runs on lithium-ion technology, providing 24 hours of unlimited use on a single overnight charge. With wireless streaming capabilities, Moxi Fit R is a new favorite for people with active lifestyles. With the philosophy that the “most important validation doesn’t take place in a lab,” Unitron offers a ground-breaking software to provide the best customization for their devices. TrueFit and Flex simultaneously empower hearing aid wearers to customize their listening experience, while providing hearing specialists the tools they need to ensure the best fit. TrueFit Software logs all of the data of your listening experience – from the adjustments you make to the environments which are the most challenging. This archive allows us at Atlanta Hearing Doctor to better adjust and fine-tune your hearing aid to provide you with an optimal listening experience. Flex, a program that allows wearers to wear Unitron hearing aids on a trial basis, is a big part of TrueFit’s success. When you’re able to “test drive” your aids in various environments, we get a better sense of how to best tailor your hearing aids to meet your needs for the most natural listening experience. Unitron reports that 84% of Flex customers believe that the trial experience improves their experience with hearing aids. Stride hearing aids, powered by Tempus, are behind the ear (BTE) hearing aids. These flexible devices provide excellent speech recognition and focus in conversations. Max, a BTE hearing aid, is designed for people who experience higher degrees of hearing loss. As a “super power” hearing aid, Max provides more powerful capabilities for speech intelligibility.